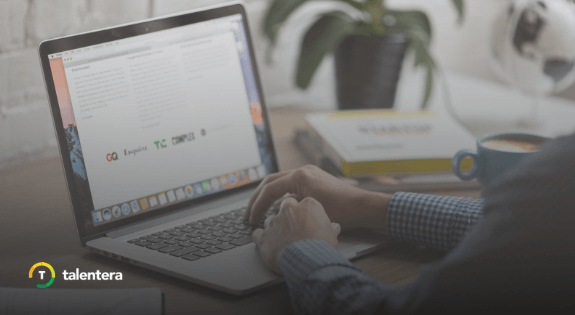 Interviews are the most definitive part of the entire recruitment funnel where great interviews end up trumping poorly written CVs and bad ones overpower even the most stellar resumes. To make sure your shortlisted candidates find it easy to show up for their interviews, you need to make the confirmation process as simple as possible. This brings us yet again to the importance of a design with great user experience, something that Talentera’s latest enhancement nails. Job-seekers can confirm or decline an interview directly from their emails, without being logged into the system. All they have to do is click on the interview slot that they like and hit the confirm button. It’s that simple. Once a candidate opens the interview link in their email, they are directed to a page that contains details including the interview description, time slots, interview location, documents attached and room for leaving personal notes for the interviewer. The candidate can also choose to sign up for email reminders over the interview time through the interface by ticking the checkbox next to ‘Remind me via email’. The page also displays the interview type i.e, whether it’s an audio call, video call or a face-to-face interaction. 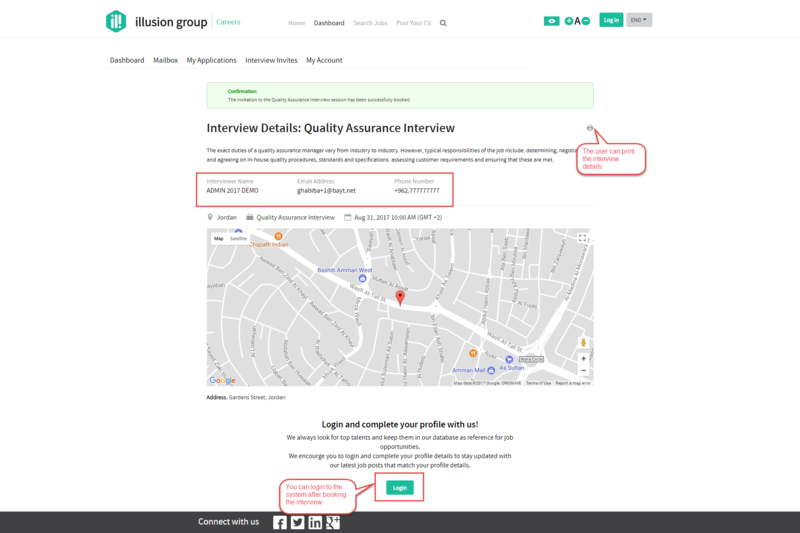 The location is pinned onto a google map which makes it that much easier for candidates to reach the venue for physical interviews. 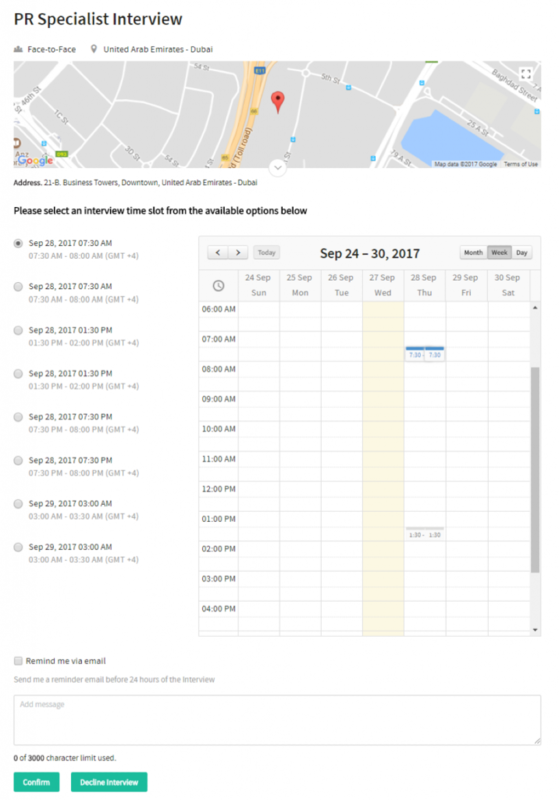 A calendar view of the slots is also added convenience for the candidate because it removes all scheduling ambiguities and makes the interview booking process even more seamless. If after picking the slot, the candidate confirms the interview, they are directed to another page that informs them about their interviewer and provides details like the interviewer name, email address and phone number. These details can also be printed out. The candidate also has the option to login to the system beyond this point if they wish to complete/update their profile prior to the interview. 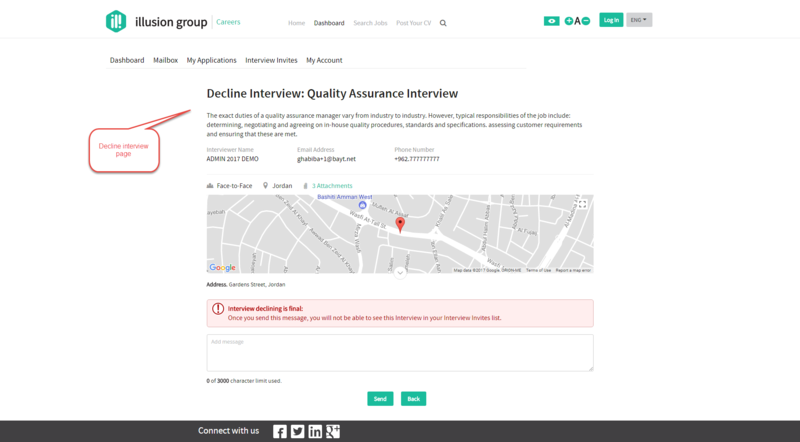 Alternatively, if the candidate declines the interview offer, they are directed to another page that confirms their cancellation and also leaves room for a personal message that the candidate can use to express why they chose to decline. 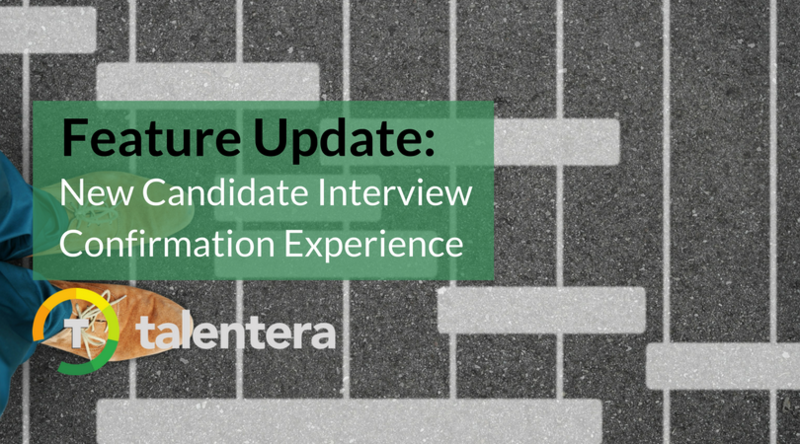 Through this update, Talentera aims to streamline the entire interview confirmation experience for candidates by enhancing slot representation and improving the whole interview setup view for them. 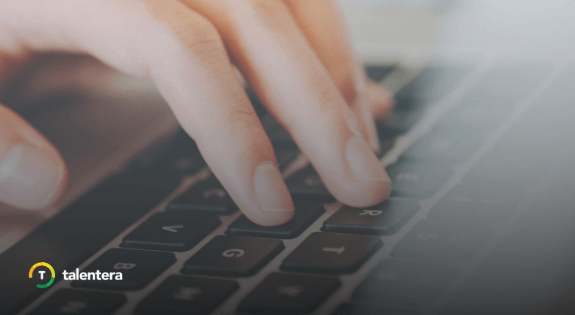 This update is important because it removes an unnecessary system login gate for the candidates allowing them to promptly schedule their interviews which ultimately maximizes interview turnout. Talentera is an end-to-end recruitment solution that makes sourcing and hiring great talent super simple. We help our clients with everything related to hiring, ranging from scheduling interviews to managing requisitions and HR budgets. How can Talentera help you? To learn more about the scope of the product through a free guided tour with our professionals, click here.